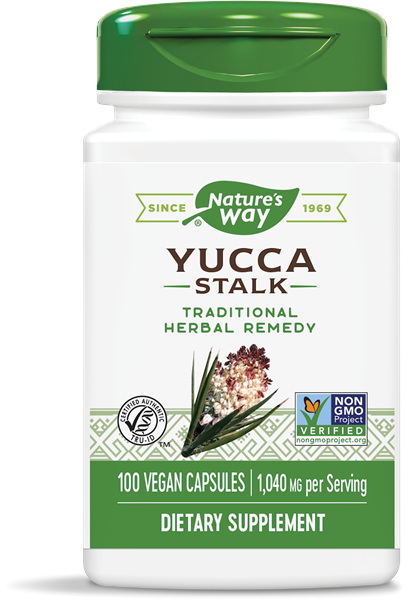 Yucca Stalk / 100 Caps - Nature's Way®. Traditional herbal remedy that contains beneficial saponins. Yucca is a traditional herbal remedy that contains beneficial saponins. Take 2 capsules twice daily with food or water. If pregnant, nursing or taking any medications consult a healthcare professional before use.